Developers of the upcoming MOBA inspired online game Gigantic took to Reddit recently to discuss the current state of the game alongside taking questions from the community in a lengthy Ask Us Anything discussion. Earlier in the month the CEO of Motiga, Chris Chung, published a post detailing a round of unexpected layoffs that hit the company in December, with further details offered in the Reddit post via a link to the official source. 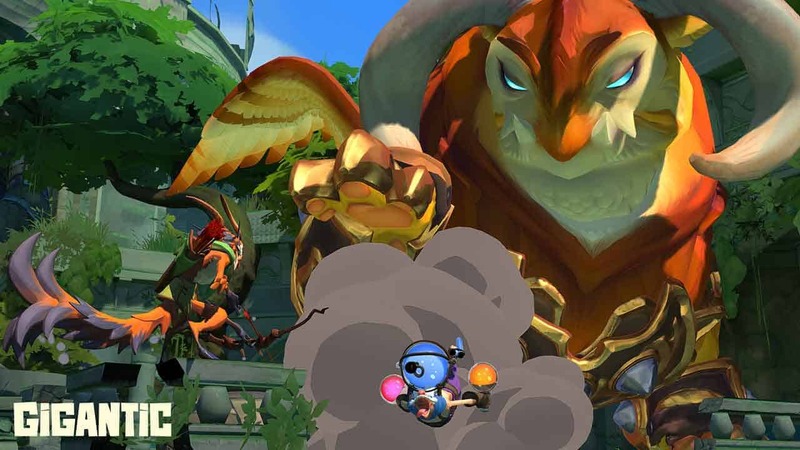 There’s a host of useful information for fans of Gigantic, if you’re able to sort through the waves of debates surrounding in-game mechanics, unfinished features and just about anything else two opinionated fans can argue over. [quote cite=”MO_Aether, Head Of Community, Motiga”]For those of you joining the conversation today, here’s a quick recap. As you know, CEO Chris Chung shared some difficult news regarding layoffs in a studio update published on December 4th. In that update, we promised the community an update on the state of Gigantic, and creative director James Phinney provided that information in a blog post published on December 16th. While there was a lot of information packed into Phinney’s latest blog, we know you have additional questions for us. In typical Motiga fashion, the entire team is tapped to participate in this discussion. There are certain to be questions we are unable to answer, but we will let you know if a particular subject that is out of bounds. If there are questions we can answer, but are unable to cover in time, your Gigantic community team will be collecting those, tracking down the answers, and then publishing them follow-up blog post. For the full lowdown of all the information check out the official Reddit AMA at the link below.